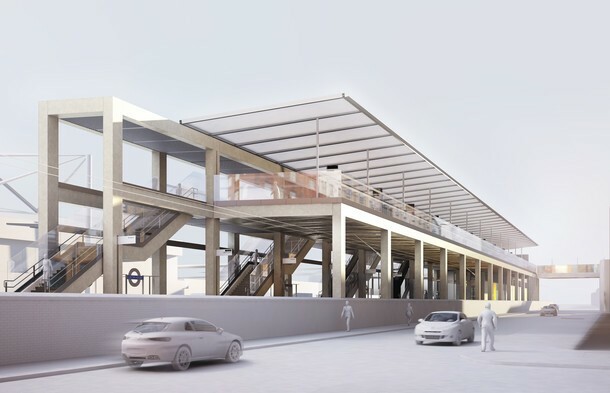 Crossrail begins procurement process for Custom House station - Crossrail . For information about the Elizabeth line please visit the Transport for London website. Crossrail today announced that a contract notice has been placed in the Official Journal of the European Union seeking expressions of interest for Custom House station. The indicative value of the main construction contract is in the region of £35 million. The tender documents for Custom House station will be issued in early 2012 with the contract awarded late next year. Construction will begin in early 2013 with the station completed in 2018. The closing date for expressions of interest for C520 Custom House station is 19 December 2011. The architect for Custom House Crossrail station is Allies and Morrison. Custom House Crossrail station will be located at the junction of Victoria Dock Road and Freemasons Road, London and is the last of the new central section stations to be procured. The new Crossrail central section stations are located at: Paddington, Bond Street, Tottenham Court Road, Farringdon, Liverpool Street, Whitechapel, Canary Wharf and Custom House.